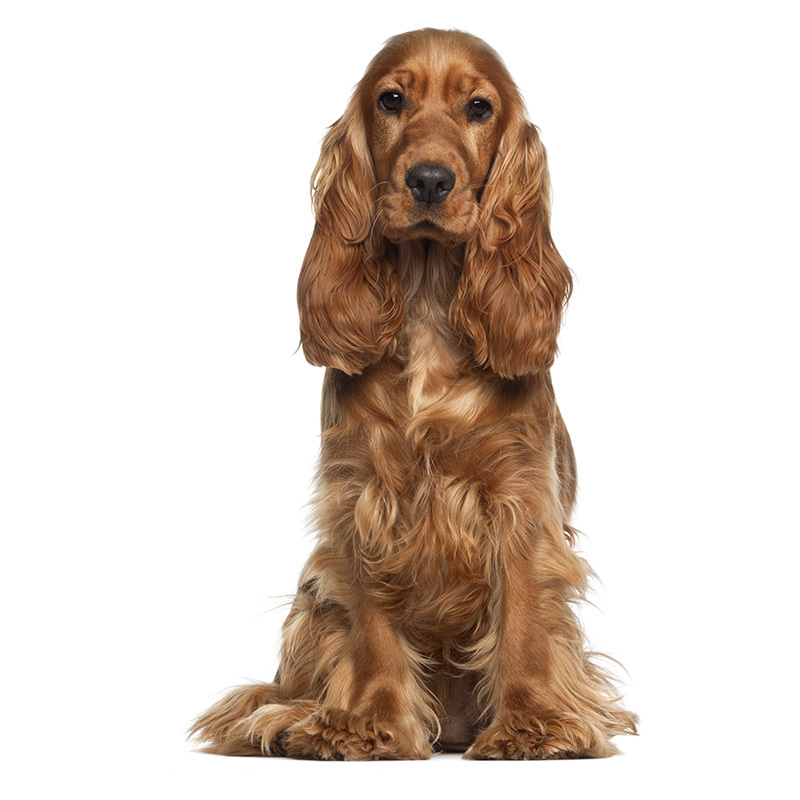 The exact origin of the Cocker Spaniel is unknown; however, they were originally bred as a hunting dog. They are believed to be one of the oldest types of Spaniels and brought to England almost five centuries ago. Until 1892, the Cocker Spaniel was regarded as the same breed as the Springer Spaniel, but has changed markedly since that time. Cocker Spaniels got their name from the game it once hunted, the woodcock. The Cocker Spaniel is a gentle but playful breed. They are loving and loyal. Cockers are usually very good with children; however, as with any dog, you must teach children how to properly play with them to avoid any unintentional injuries. Cockers are also excellent with other pets, including dogs, and are friendly to people, thus making them a wonderful companion breed. They love their master and can get very excited to see them even after an absence of a few hours. Cockers are athletic, agile, and speedy and love to be outside just playing with their family. Cocker Spaniels usually weigh between 20 to 35 pounds, and stand approximately 12 to 16 inches tall. They are a medium-sized dog with a sturdy and compact build. They have long, flowing hair that comes in a variety of different colors. Their coat is usually slightly wavy and silky with short hair on their head and medium length covering the rest of their body. Cocker Spaniels are known for their long, floppy ears. Cocker Spaniels are the 13th most popular breed registered with America's Pet Registry Inc. They are ranked 18th in intelligence according to The Intelligence of Dogs written by Stanley Coren. He states they usually have an understanding of new commands in 5 to 15 repetitions and obey the first command 85% of the time or better.